I honestly do not know where the last three years have gone, uni seems to have whizzed by, yet it seems so long ago that I began my life at Southampton Solent. I am passionate about fashion illustration and for my Final Major Project I asked "Why isn't fashion illustration used as a main promotion and marketing tool with in the industry?". It was my aim to prove the point that fashion illustration still provokes emotion and can create a strong impact on its audience. I created briefs which were fulfilled by illustration, these illustrations were then exhibited at Re:So Gallery in Southampton as well as used in a brochure about the project. All illustrations in the brochure are my own. 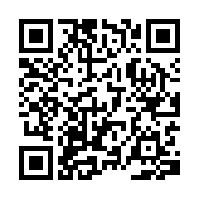 Scan the QR Code with a QR Code reader or follow the link below to see my brochure.